Read what our clients have to say about our HVAC products and services! Read All our Reviews on HomeStars! Anthony and his crew gave us an offer much lower than 4 others for replacing our ac and furnace to energy efficient ones. They came on time removed the old equipment and put in new ones. They were very careful on stairs not to scratch and did a great job of clean up later. It was in the month of may and we got ample chance to use both the ac and the furnace for past 3 months. These guys are extremely competant in the way they arranged for energy rebates and company rebates and we got all the money from Carrier and the energy company so that worked towards additional savings. The new AC and furnace is working fine and we have an even temperature every day. It feels really cool given the heat wave Toronto has. I told Anthony i will only write the review after 3 months and testing out all the claims made by them and now I am totally happy with my decision to go with Northwest Gas during my emergency situation in may. I gladly recommend this company for AC, furnace and gas barbeque pipeline connections to anyone. They are the best quality at a reasonable price and will attend emergeny situations and do a wonderful job. Thanks Northwest Gas . Northwest Gas provides terrific service. They replaced my air conditioner and furnace. The office staff are friendly, helpful and organized. Lou came out to give a quote and was informative. Wes and Tom did the replacement work. They worked hard all day. Put down drop cloths so not to dirty floors. The old equipment was taken away promptly and our home was left the way it started. Not even a nut or bolt left behind. Recommend them highly. Anthony installed a new Air Conditioner in our house. He was extremely professional and polite. He came back to check on how the house was, and asked if there was any problems. There were no problems though, he installed the machine well. The AC works fine and has caused no problems for us. 14 yr old AC not cooling. Expecting big bill , very surprised at lower than anticipated cost. Anothony very pleasant person to deal with & he explained that he would rather repair than replace unit. 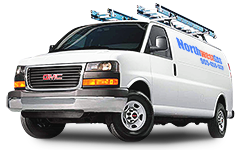 I have dealt with Northwest Gas for a number of years for furnace annual check and I am VERY happy. With this repair, I am a very happy camper.